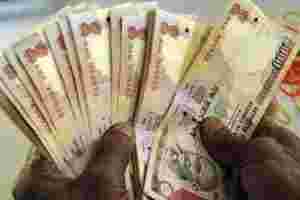 The rupee rose about 2.7% against the dollar on Friday, a day after the Reserve Bank of India (RBI) announced a series of measures to curb speculation in the foreign exchange market. Today, the Indian unit may rise even further as the central bank has also deregulated interest rates on two sets of deposits that non-resident Indians (NRIs) keep in India and banks are expected to raise rates. This will increase dollar flows into the country. The rupee has shed a little more than 15% against the dollar this year. Both the government and RBI will be happy to see the local currency bouncing back, but will the trend last? Probably not as the measures are a band-aid approach and don’t address the real problem. First, an RBI official had said it would not sell too many dollars to protect the rupee and that led to a sharp fall of the currency as the market read in the statement the central bank’s willingness to push the currency down. Since that wasn’t the case, the government and RBI rushed to raise foreign investment limit in bonds, interest rate cap on external borrowings, and interest rates on NRI deposits to stem the rupee’s fall. As these measures didn’t help much, RBI decided to come down heavily on those who were punting on the currency. Companies as well as foreign institutional investors will no longer be allowed to rebook forward contracts after cancelling them. Similarly, the so-called overnight open positions of banks, or their unhedged exposure to foreign currency, has been cut. The new limit for such exposure is now determined by RBI and not the boards of banks. Speculation is an integral part of any market and by trying to drive the speculators out, RBI will kill the foreign exchange market. The ban on cancellation and rebooking of forward contracts essentially means no one can change views on the currency movements and make money out of that. Firms cancel forward contracts as they hedge their currency positions, based on their views about the movement of the currency. Typically, both exporters (who sell dollar earnings) and importers (who buy dollars) exit and re-enter forward contracts, depending on the call their treasuries take. What is funny is that the volume in currency derivatives trading on exchanges has been rising. This means one can punt on currencies, on exchanges, but cannot do so on the over-the-counter (OTC) market. The banking regulator has also decided to assess risks that individual banks can take on their currency books, something that was done by their boards till recently. Net overnight open position limit (NOOPL) of banks have been cut and intraday open position or daylight limit has been capped at NOOPL. Daylight limit is the maximum total exposure to various currencies allowed to a bank’s trading room by its board. The limit depends on the risk perception of the management, size of trading volume, volatility of exchange rate, liquidity and depth of the markets. These limits are typically fixed currency-wise and dealer-wise. At the end of the day, a bank may like to square all its open positions but this is not always possible since small positions, which are not marketable lots, may be left uncovered. A dealer may also keep trading position open, depending on his view on currency movements. Technically, NOOPL is net long or short positions that a dealer can carry over into the next dealing day. The overnight limits are usually much lower than the daylight limits as dealers continuously monitor their positions during the day, but cannot do so at night when foreign exchange trading is on in some other parts of the globe. Had the regulator found any bank doing anything wrong, it should have punished it and spared the system. Micromanagement is a blow to market reforms. Freeing NRI deposit rates will increase the flow of dollar and we can even see a deluge. So far, interest rates on such deposits were linked to the international benchmark London interbank offered rate (Libor). Now, banks can offer as much as they pay to domestic depositors. NRIs will arbitrage interest rate differentials between India and the countries where they work and earn. Overseas banks also offer loans for such purposes. Theoretically, an NRI can borrow money from a bank, say at 3.5% overseas, and keep the funds with the same bank in India and earn 9.5%. The bank involved has nothing to lose as it keeps a margin for such loans (typically 20%) and what is an asset (loan) in its book in one country comes back in the form of liability (deposit) in another country. While the bank earns interest on the loan, the borrower earns interest on the deposit, making it a win-win game for both. RBI will do well to review all these measures when stability returns to the currency market. I am taking a break and will not write the column next week. Merry Christmas my dear readers and a very Happy New Year.